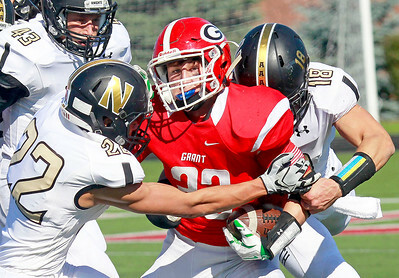 Candace H. Johnson-For Shaw Media Grayslake North's Payton Campbell gets tackled by Grant's Kalin Baker and Isaac Jaime in the second half at Grant Community High School in Fox Lake. 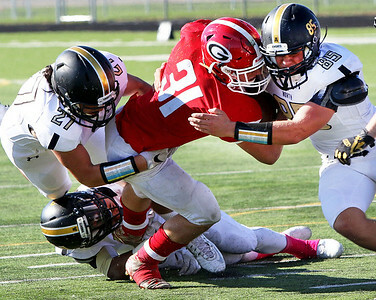 Candace H. Johnson-For Shaw Media Grant's Isaac Jaime gets tackled by Grayslake North's Giananthony Ocampo and Charles Burr in the second half at Grant Community High School in Fox Lake. 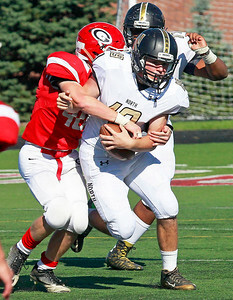 Candace H. Johnson-For Shaw Media Grant's Bryan Bajerski tackles Grayslake North's Hunter Ambre in the second half at Grant Community High School in Fox Lake. 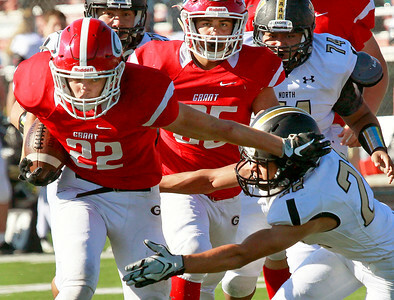 Candace H. Johnson-For Shaw Media Grant's Diego Ortiz keeps his eyes on Grayslake North defender, Giananthony Ocampo, as he runs the ball in the second half at Grant Community High School in Fox Lake. Candace H. Johnson-For Shaw Media Grant's Drew Walker looks to break the tackle by Grayslake North's Giananthony Ocampo in the second half at Grant Community High School in Fox Lake. 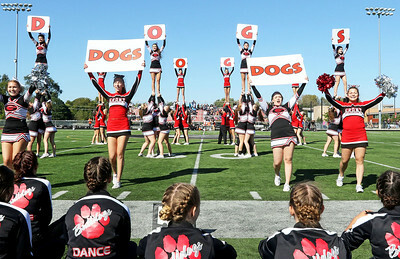 Candace H. Johnson-For Shaw Media Grant cheerleaders perform at half-time during the varsity football game against Grayslake North at Grant Community High School in Fox Lake. 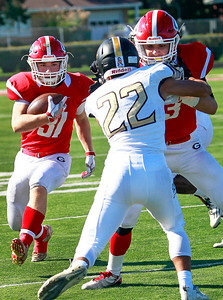 Candace H. Johnson-For Shaw Media Grant's Diego Ortiz gets tackled by several Grayslake North defenders including Jimmy Chamberlain (#85) in the second half at Grant Community High School in Fox Lake. Candace H. Johnson-For Shaw Media Grant's dance team keeps moving on their float during the Homecoming Parade down Grand Avenue in Fox Lake. 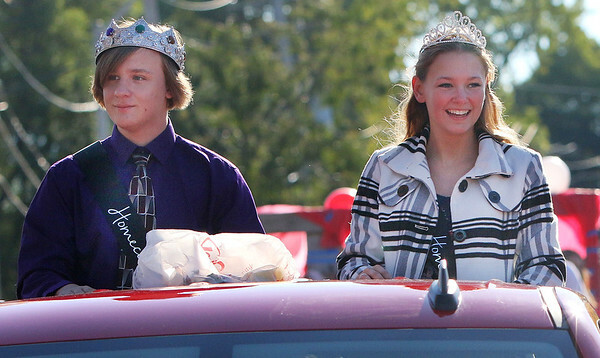 Candace H. Johnson-For Shaw Media Grant's King and Queen, R.J. Axen and Haley Fry, make their way down Grand Avenue during the Homecoming Parade in Fox Lake. 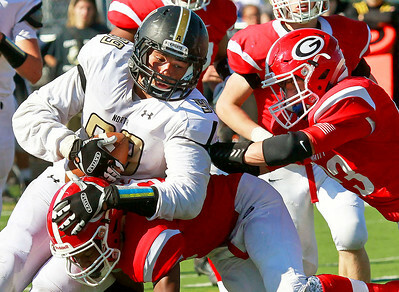 Grayslake North's Payton Campbell gets tackled by Grant's Kalin Baker and Isaac Jaime in the second half at Grant Community High School in Fox Lake.